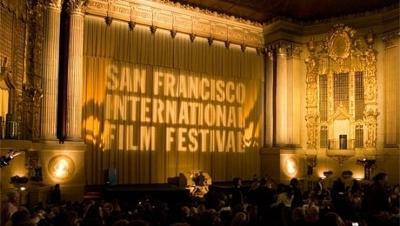 Founded in 1957, the San Francisco International Film Festival is the longest-running film festival in the Americas. Held each spring for two weeks, the International is an extraordinary showcase of cinematic discovery and innovation in the country's most beautiful city, featuring some 150 films and live events with more than 100 filmmakers in attendance and nearly two dozen awards presented for cinematic excellence. The Festival attracts an annual audience of more than 80,000. Highly anticipated by its loyal and passionate audiences, championed by civic and community leaders, admired and adored by filmmakers and closely watched by industry professionals, SFIFF is one of the most important events in the Bay Area's cultural calendar and an important stop on the international festival circuit. The International is deeply rooted in the strongest and finest traditions of appreciation of film both as an art form and as a meaningful agent for social change. It is a cultural treasure for Bay Area audiences, who embrace new ideas, compassionate humanity and world citizenship. SFIFF features a bonanza of narrative feature films, live action and animated shorts, television and theatrical documentaries, experimental work and a variety of new digital media, as well as a smart lineup of industry panels and seminars, awards events, onstage tributes, retrospectives and the highly acclaimed Schools at the Festival program, which brings 4,200 students in grades 1-12 into the festivities. Remarkably intimate for a festival of its size and scope, the International combines a range of marquee premieres, international competitions, hard-hitting documentaries, digital media work and star-studded gala events.